Punjab unit of the Congress party today demanded imposition of President's rule in the state and holding Assembly polls under a neutral administration in single phase while expressing concern over "worsening" law and order situation. The Punjab unit of the Congress party today demanded imposition of President's rule in the state and holding Assembly polls under a neutral administration in single phase while expressing concern over "worsening" law and order situation. Punjab Congress Chief Amarinder Singh today led a party delegation to meet Chief Election Commissioner Naseem Zaidi and sought imposition of the Model Code of Conduct in the state at earliest. In a memorandum submitted to CEC, the Congress alleged that law and order situation in Punjab has worsened following the Supreme Court's judgement on Satluj-Yamuna Link canal issue, as the present SAD-BJP government had failed to defend the state's water rights in the apex court. "Rule of the law had become an exception in Punjab, with liquor mafia, drug trafficking and unleashing of state terror through false FIRs continuing unabated. “Therefore, to conduct free and fair elections, the present government should be removed and polls be conducted by a neutral administration under President's Rule," Amarinder told reporters here. 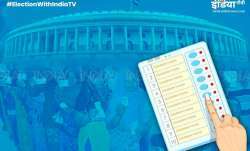 With elections to the state Assembly due early next year, the Punjab Congress chief sought early intervention of the Election Commission "by imposing model code of conduct without delay to prevent further vitiation of the political, administrative and law and order environment in the state." Apart from these, the Congress also demanded that for fair elections electronic voting machines available in Punjab should not be used for polling, immediate ban on issue of fire arm licences, as well as ban on transfers by state administration. Singh said he expects the election could be violent, therefore, the party has requested deployment of paramilitary forces in the inner cordon of the polling stations and cadre posts in the police department should be occupied by only IPS officers. 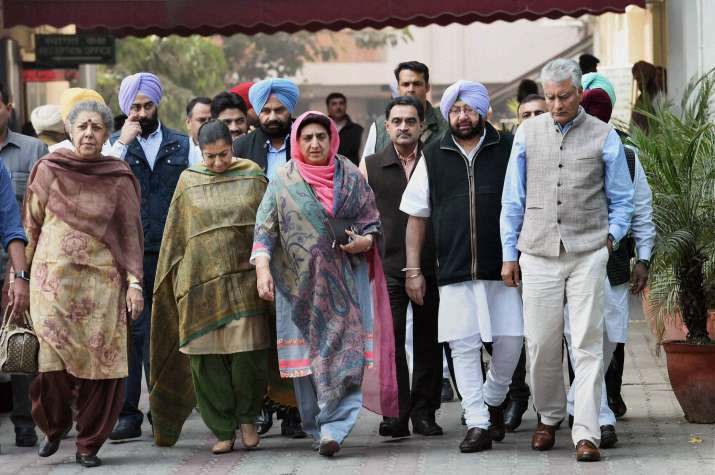 Singh was accompanied by AICC in-charge of Punjab affairs, Asha Kumari, Punjab Congress MPs Ravneet Singh Bittu, Santokh Chaudhary and Ambika Soni, Punjab Congress senior vice president Laal Singh and vice presidents Amar Singh, Sunil Jakhar and Manpreet Badal.